As a little boy, I had a dream that my father had taken me to the woods where there was a dead body. He buried it and told me I must never tell. It was the only thing we'd ever done together as father and son, and I promised not to tell. But unlike most dreams, the memory of the one never left me. And sometimes I was altogether sure about one thing: Was it just a dream? In an interview, author Augusten Burroughs described this memoir as a devastating, terrifying story… I had to write it for me." 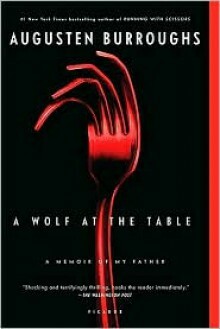 On his website, he described A Wolf at the Table as the book that reveals why the author of Running with Scissors was running. Scary; jolting; unforgettable.